With the profusion of boutique magazines lately, there is a lot of content to comb through. My favorites remain a couple of the originals, Lucky Peach and Kinfolk. Both have summer issues out right now, which are perfect to read on the back porch in the late summer sunsets. 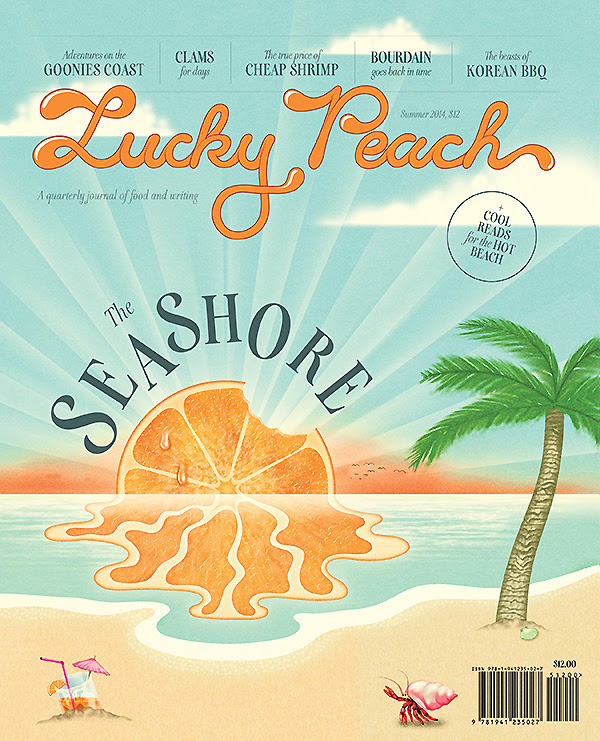 This issue of Lucky Peach is a pirate’s chest of ocean themed food. There is a touching essay by Anthony Bourdain, who makes regular appearances in the magazine, along with editor David Chang. 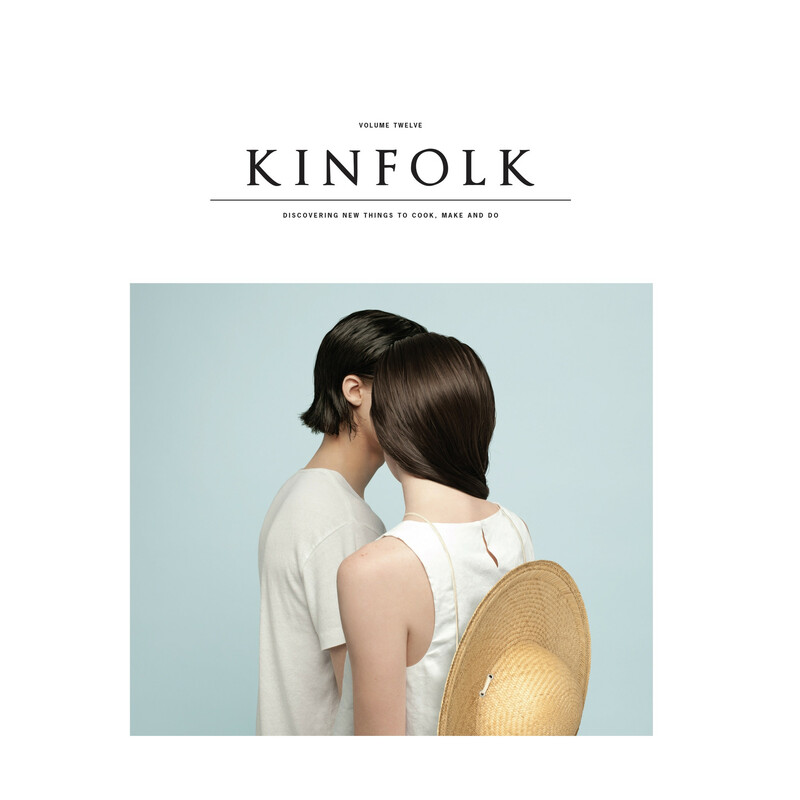 The Kinfolk summer issue is similarly dedicated to the sea, seaside gatherings and great food. So sit down in the fading rays, imagine your toes in the foaming ocean, and get inspired to make yourself a lobster roll. This biography details the lives of brave midwives in London’s East End after WWII. The story is narrated by Jennifer Worth, a plucky, non-Catholic nurse who decides to undergo midwife training at the prestigious Convent at Nonnatus House. It is in this house that we meet Chummy, a gentle giant of a nun with a royal past, who delights in letting the rough street children teach her to ride a bike. Other nuns, like the elderly Sister Monica Joan who alternates senility with poetic discourse to please her mood, make cameos as well. The gems of the book are the diverse patients that Nurse Worth attends to. The East End after the war was a place of overcrowding, suboptimal sanitation (some tenements had one outdoor privy for a 14 family building), and small mouths going unfed. The sisters did a tremendous job of providing sterile birth packs to each of their expectant patients, so that the baby would come into the world onto clean, soft linens, and have a skilled midwife with sterilized supplies. These measures drastically reduced the area’s infant mortality. More incredibly, these midwives went out on their bicycles to check on the expectant mothers weekly until their deliveries, and then daily after the delivery for two weeks. Jennifer profiles one spectacular family, the Warrens, and their enormous brood of twenty-four children. Nurse Worth attends to several of their deliveries and was struck by how excited and caring Len was when there was a new birth, and took on many of the baby chores himself, so that Conchita could take her two weeks in bed, undisturbed. Nurse Worth had never seen such defiance of the traditional gender roles, nor had she seen a couple so deeply in love. The book details ministering to the marginalized folks in the East End society- the prostitutes, the unwed mothers, the abused young mothers, and she portrays it in a matter-of-fact way and goes about sensibly administering to them the best she can. This was a tremendous book, and will appeal to a wide range of readers- those interested in history, post-war England, midwifery, and I’m sure my colleagues in medicine will love it too. I had the fortune of receiving an autographed hard bound copy of this book for Christmas (thank you Barbette!). I first became acquainted with Miss Gilbert’s writing in her bestseller, Eat, Pray, Love. Say what you will about that book- the fact that it encouraged unprecedented numbers of women to travel is amazing. 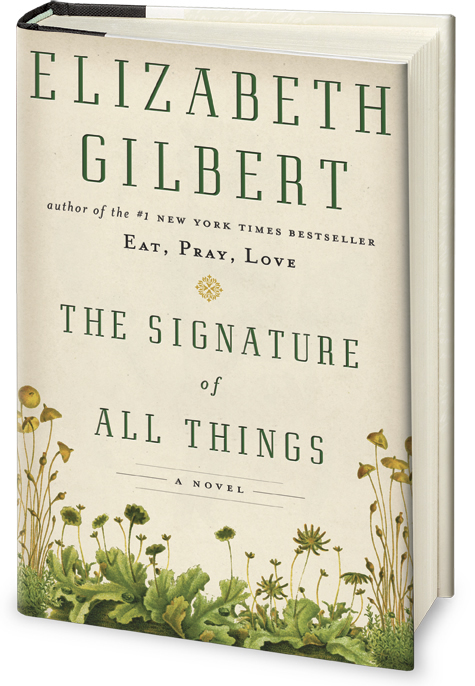 Prior to reading The Signature of All Things, I wasn’t aware of Ms. Gilbert’s literary background. I assumed that she made millions on a book that incited a collective wanderlust. What I didn’t expect to find in this book is that Ms. Gilbert is a highly talented author who is able to weave a complex narrative over several decades and continents, which would always leave me wanting to read more. And I would have, but it’s a 499 page book, and early shifts at the hospital invariably got in the way. The book starts out with young Henry Whittaker, an intelligent teenage thief who understands that he can make a fortune by selling rare plants from the Kew Gardens where he is employed, to rare plant collectors around Europe. When the scallywag is found out, Henry is already bound for Philadelphia, where he builds a vast estate, complete with gardens and steam powered greenhouses. He has a daughter, Alma, who becomes the crux of the book. Alma goes about her formative years as a pith helmeted, safari-jacket-wearing tot, ever weary of the indoors and always curious about the natural world. Alma and her sister are educated in the farthest reaches of Latin, French, chemistry and biology by their formidable mother. Alma is an adept scientist, though the landmark theories she designs are received with substandard regard from the scientific community, as she is after all, a female. Alma persists with her studies, particularly those regarding mosses; and eventually her theories intersect with those of Darwin. There are several thick subplots of love, treachery, loyalty and honor from the most unexpected protagonists, which keep the story propelled forward. Add dashes of perilous sea travel, the discovery of foreign religions, an unusual marriage, and a secret between sisters to keep the pages turning. I have been a pilgrim to Miss Gilbert’s import store, Two Buttons, in Frenchtown, NJ, every time that I’m in the area. The store is an organized jumble of treats from around the globe, including gorgeous hand carved toucans from Brazil, singing bowls from Nepal, and my all time favorites- bookshelves made from old Indonesian boat hulls. Oftentimes, Liz is there, accompanied by her husband Philippe, who makes popcorn for patrons in an antique popcorn machine, and wanders around offering wine, describing the varietals in his Brazilian lilt. Go visit if you can!